The form player in the league at this point of the season? Sterling is on a hot streak with three goals and four assists in only three games. This week Manchester City are at home to Bournemouth, who are on a three game losing streak and haven’t kept a clean sheet during that time. With Liverpool continuing to keep Pep Guardiola on his toes, Manchester City can't afford to take chances resting players and will be looking for another big win this weekend. We can never rule out a cheeky punt on Jamie Vardy. His goal against Brighton last weekend was only his fourth of the season but when Leicester do score it’s more than likely that that he will be involved. The opposition this week for Leicester are Watford. Like Bournemouth they have failed to keep a clean sheet in their last three games and last weekend leaked three goals at home to Liverpool. Undefeated in four games now, the team are playing for each other and I fancy Leicester to win on Saturday. The Manchester City juggernaut can’t be stopped and in turn we are compelled to continue filling out this weekend's team with Pep Guardiola’s players. While the headlines are certainly Sterling, Sane and Aguero, Silva continues to rack up the fantasy points and is a key player within this side. The Spaniard has scored in each of his last three games. Can Bournemouth expect to stop them? Ok, so this looks like a cheap pick given Mooy has done nothing all season then scores a brace unexpectedly against Wolves last weekend, but since I mention it – he does have the form. The other reason he caught my eye was that Brighton have conceded eight penalties this season in thirteen games, no other Premier League side have conceded more! Seven of those eight ended up in the back of he net. As the Huddersfield Town penalty taker, this makes him a worthy differential with form, the fixture and set pieces at hand. 40 goals scored and only 5 conceded, we have to utilise Manchester City assets all over the pitch. Laporte is the only defender to play every minute of every Premier League game for City so far this season, helping his side to 8 clean sheets from a possible 13 – arguably the most reliable defender to own. We’ve all said he is offering a goal threat and despite not scoring in the league this season so far, he did score again in the Champions League this week. That should bode well for more attacking returns in the future. We’ve not heard anything from 'PVA' for some time. He was a hot topic during pre-season and in a lot of fantasy sides on Twitter previously. Well last weekend the Dutchman caught my eye once again, with three shots away to Manchester United, including one chance he really should have scored. With a clean sheet in the bag, he has every chance of making it two on the bounce with a home fixture this weekend against Burnley. It’s a safe pick clean sweep for Manchester City, and who could argue against it? Maybe we should be selecting the maximum from one team for our Starting 11 line-ups? With the best defensive record this season it makes perfect sense to have a Manchester City Defensive Stack at home to Bournemouth. Purely due to the strength of Manchester City and them having the more favourable fixture, I am choosing Allison as my differential this week as I expect most managers to have Ederson in their Starting 11 sides. Liverpool are matching City at the back so far, again with only five goals conceded and recording eight clean sheets from their opening thirteen games. I believe Ederson is the more likely of the two to keep a clean sheet, but what Ederson is likely to have is more crucial save points which could prove to be vital in your Mini-League Winner Take All battles. 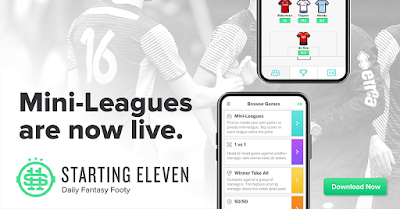 Before you go… This week Starting 11 have introduced a new Mini-League feature to their app, giving you the opportunity to compete in public or private leagues or two or more managers where the winner take all. 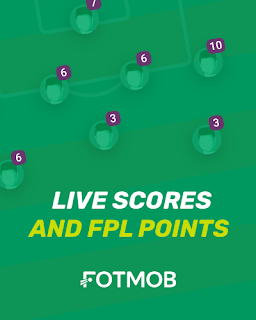 Download the app now and look out for my free to enter league this weekend. It's important to note there's a Friday night game, so the GW14 deadline is 7pm Friday. You've then got just enough time to gather your thoughts before the GW15 deadline which is 6.45pm on Tuesday. With the administration out of the way, let's get to scouting. Injury ruled Hazard out of Chelsea's Europa League commitments this week but Maurizio Sarri seemed confident his talisman will be fit for Sunday's game against Fulham. That's enough for me to put him in the number one slot this week because Ranieri or not, Fulham are the only club out of the 92 football league clubs who are yet to keep a clean sheet. Hazard should be well set to add to his 7 goals and 4 assists, though it is 5 weeks without a goal now. Surely he is due? This week, as Nick melts down about a Vokes goal, the template is being threatened by the likes of Sterling, Sane, and the Spurs players. We take a look at the fork in the road in terms of premium assets, and think about how we might maneuver to suit the new template. Tom also did a short interview with Championship/Football Manager legend Chermo Samba as an addition bonus. Many thanks to Chief (@fplhints) for producing this. We then look at the features - Market Forces, zombies and All England team - before answering some questions. No podcast next week due to the crush of games. We'll do a live Youtube next Sunday for Q&A - please subscribe to our Youtube channel if you want to be kept informed of when we're on, but it should be 8ish. After scoring an 89th winner for Egypt last Friday, Salah is well rested with over a week to refocus before Liverpool travel to Watford. Salah’s underlying stats suggested that the 2017/18 version had returned - two goals and two assists during his last two Gameweeks – what can he do next against Watford? Despite a great start to the season, the Hornets have only kept three clean sheets this season and go into the game on the back of disappointing results against Southampton and Newcastle. Just the kind of match Salah needs to continue his return to form. 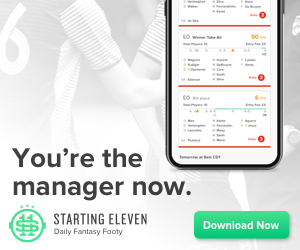 With only three forward positions available and the likes of Salah, Aguero and Kane tempting fantasy bosses with no budget restrictions – Richarlison falls into the unlikely category of a differential on Starting 11. He's only scored one goal during his five appearances since returning from suspension. The debate has been endless as to whether Richarilson was as dangerous playing as a striker as he was down the left flank. Well, his two goals against Brighton during Gameweek 11 silenced the doubters. This Everton side appear to be growing stronger. This week they take on Cardiff who have conceded 25 goals this season – only Fulham have conceded more. Quite frankly we should be squeezing as many Manchester City players into our line-ups as possible every week. David Silva is also worth considering – two goals during his last two games and constantly finding those pockets of space to open up a defence for Sterling and Aguero. West Ham allowed goal shy Huddersfield to have 15 shots on goal during Gameweek 12, just how many chances will this Manchester City side create? Brace yourselves West Ham fans. Are Manchester United players differentials on Starting 11 this season? Sat at 8th in the league with only 6 wins from 12 games they certainly aren’t safe picks. Paul Pogba gets the nod from me this week as an outside pick. Despite some disgruntled fans, we all know the Frenchman is the driving force behind this Manchester United side. This week United are up against Crystal Palace who have failed to keep a clean sheet in any of their last six league games, conceding eleven times during that period. Palace also have something of a defensive crisis this week with Sakho out injured. John Stones appears to have made that second centre-back position his own, creating a formidable partnership with Laporte. Manchester City have kept six clean sheets during their last eight games, a fantastic record – however the only reason they did concede at all was due to some reckless goalkeeping gifting the opposition penalties. I expect Manchester City to keep West Ham quiet on Saturday. Not only is Stones likely to bring home some clean sheet points – but the points he will earn due to his passing ability means he is Starting 11 gold. Wolves were moments away from a clean sheet vs Arsenal during Gameweek 12 and despite not keeping their opposition out for four weeks now, I feel the clean sheet points are due to return starting this week. Also, there is surely another goal incoming from Matt Doherty. He continues to find himself in advanced positions and taking shots on goals. Just how has the wing-back only scored one goal this season? There is absolutely no point over complicating the situation. This week's safe pick is Ederson who joins Stones in a Manchester City defensive stack. Manchester City’s attacking football has contributed to a staggering 36 goals in only 12 games, but it’s easy to forget they also have the joint lowest number of goals conceded with 5. Quiz time, without cheating how many cleansheets have Manchester United kept this season? The Answer…only 1 – which makes David De Gea nothing more than a differential pick. Then we have the flip side - Crystal Palace have only scored 8 goals all season – a record only bettered by 19th place Huddersfield Town with 6. The Jose Mourinho bus, the best goalkeeper in the world and a misfiring opposition – what could possibly go wrong? This weekend sees the final set of Premier League fixtures before yet another International break. The Manchester derby is taking the headlines but we need to find five players to give you the FPL bragging rights for a few weeks. The last International break of the year is really a checkpoint for everyone from fans to managers as it signifies the last break before the heavy winter schedule really kicks in. We’ll see 8 rounds of matches between the conclusion of the International break and the end of the year, which is incredible considering that cycle will commence from November 24th. Time to focus on the here and now though and whilst the Manchester derby will be the biggest spectacle, the FPL credentials for Liverpool, Chelsea and Arsenal look stronger. Liverpool were poor in midweek against Red Star but I’m hoping that surprise defeat will be a wake up call for an FPL perspective at least. The Reds welcome leaky, leaky Fulham to Anfield and no matter which way you look at this, it’s hard to not look at Liverpool as anything other than heavy favourites. Salah is perhaps the obvious choice but I could really have just written “Liverpool attackers” as the heading here. Some will look at Liverpool’s disappointing defeat to Red Star on Tuesday night and be concerned. Not me. I’m expecting a reaction and a big result for the Reds on Sunday especially after Fulham managed to make Huddersfield look like Manchester City last weekend. Despite not scoring, Salah still managed to fire eight shots at goal on Tuesday night (including hitting the post). This week he plays a defence which has conceded 29 goals, more than any other Premier League team. The last time Jamie Vardy scord a goal was in Gameweek 7 against Newcastle. Fantasy football managers are losing patience and looking elsewhere. However a fixture at home to Burnley could be an opportunity to give him one more chance. Why Burnley? 13 goals conceded in only 3 games – even the likes of Fulham have conceded far less (8) during that time. Vardy hit the post against Cardiff and Maddison is continuing to create opportunities. The goals are coming so make sure you’re on board when they return. Mesut Ozil is quietly starting to produce the goal scoring opportunities we have seen from the German in previous seasons and has played an important part in Arsenal’s improved form. During his last three games he has produced ten key passes and against Leicester he not only produced an assist but scored a goal too. This week Arsenal are at home to Wolves who enter the game on the back of a three game losing streak, conceding six goals in the process. This could be another opportunity for him to cause havoc. It may seem strange to suggest a differential who’s just scored two goals. But Anderson has been on the radar of many fantasy football mangers for some time without fulfilling his potential for attacking returns. Anderson, playing on the left of a front 3 as well as on set piece duty sounds like the ideal player for any fantasy team. Since the injury to fellow midfielder Yarmolenko, Anderson has had to step up and help carry the team forward as was evident with his two goals against Burnley last weekend. Huddersfield are next on Saturday and I think he will continue his form. Which Liverpool player has had the most shots in the box (5) during their last two league games? Salah? Mane? No – it’s Virgil van Dijk! No attacking returns all season but the underlying stats suggest a goal is imminent. The way Mitrovic is playing it’s not like van Dijk is going to be kept busy at the other end of the pitch. Clean sheet and a goal incoming? It’s not out of the question this week! Madness, I hear you cry! Why would you put in a defender from a newly promoted team who are playing away from home against Arsenal? Well first of all a disclaimer – he’s not in there for a clean sheet – but 6 shots against Brighton plus an assist incorrectly ruled out against Arsenal means he has to be thrown in as a differential this week. Arsenal have been playing well and winning games, but have failed to keep a clean sheet in any of their last 4 league games. Doherty is well poisted to take advantage of the pockets of space that have often opened up with their backline. Fulham have only scored 3 times during their last 5 league games. They failed to find the back of the net in their last 2 games which were against Bournemouth and Huddersfield. Mitrovic was their star man earlier in the season but has now failed to record a single shot on target in any of his last 3 games. At home, Liverpool have only conceded 1 goals all season so it’s an easy decision to have both Allison and van Dijk in my Starting 11 team this week. A 1-0 win last weekend against Cardiff meant Schmeichel recorded his third clean sheet of the season, this week he will be looking to make it two on the run with a favourable fixture at home to Burnley. Burnley, having scored two goals and conceded thirteen during their last three games are in a torrid run of form and need to get back to basics before they slip any further down the table. The emotions at Leicester City appear to be forging a team bond like they did during their Premier League winning campaign and I expect that to fuel them for the foreseeable future. This week, we're joined from Canada by FPL Racoon Nation (Rishi) to talk the star midfield quad of Sterling, Salah Mane and Hazard and how we fit them into our FPL sides. Next pod the second week in IB (Tom in HK) but we'll be live with our friend FPL Stag. Has the 2017/18 Mohamed Salah returned for fantasy football managers? The attempts on goal and attempts on target stats looked good but finally a fantastic performance against Cardiff paid dividends with a goal and two assists. This week Liverpool have what looks like a tougher fixture against an in form Arsenal side, however the Gunners have failed to keep a clean sheet during their last three games – despite playing Fulham, Leicester and Crystal Palace. Fitness issues with Monreal and Bellerin are not going to help matters this weekend. Can Salah and Mane continue from where they left off last weekend? I think so. Wilson, Arnautovic or Ings? We have had plenty to talk about this season when it comes to forward options with premium strikers perhaps not meeting our expectations – can we now add Glenn Murray to that list? Brighton’s season has turned a corner - three 1-0 wins on the run has propelled the Seagulls up to 11th in the league – two of those three goals have been scored by, you guessed it, Glenn Murray. With a trip to Everton up next, can we see that winning run continue? After a sluggish start to his Manchester City career, the former Leicester player kickstarted his season with two goals off the bench against Cardiff during Gameweek 6 – since then he has started the last three games, scoring in each of his last two. Now on four goals for the season and arguably Manchester City’s most notable in-form midfielder, a fixture with the Saints is a mouth-watering prospect, especially after watching Chelsea fire three past them a few weeks ago. After the tragic death of Leicester Chairman Vichai Srivaddhanaprabha, it seems only fitting that a player such as Mahrez, very much part of his former club’s history, should score again this weekend. *It would be safe to pick Manchester City players this weekend with a fixture at home to Southampton, if it wasn’t for the unpredictability of their line-ups - the lovely thing about Starting 11 is that ‘Pep Roulette’ isn’t an issue, your player isn’t starting? Swap him out! Pep continues to manage De Bruyne’s recovery from injury with two substitute appearances in the league sandwiching a start (and an assist) during their Champions League fixture. Will this be the week KDB returns for a first team start in the league? For me he has to start, Southampton gives him the opportunity to regain more match fitness and provide attacking returns while he is at it. Manchester City’s goals tend to be spread with an embarrassment of riches in attack. What we need is a linchpin providing those assists – that man is Kevin De Bruyne. This Manchester City side have it all, goals, attractive football and now the solid foundations at the back – highlighted by their current run of six clean sheets. Laporte has been ever present this season and looks a sure fire way of accessing those clean sheet points without the risk of rotation. Their opponents Southampton have failed to score now in any of their last five league games, I don’t see Manchester City’s defensive record or Southampton’s attacking record changing on Sunday. After winning their opening four games of the season, Watford seemed to be falling away taking only 1 point from their next four fixtures. However, the Hornets seem to have steadied the ship and sit proudly in 7th place in the Premier League. Two wins from their last two games, scoring five goals and conceding none – Watford are one of the form teams at the moment and next face Newcastle who are still without a win all season. Newcastle haven’t scored during their last two games and I don’t see them troubling Watford this weekend. Do we double up? Really we should be looking at a full stack – can Southampton really threaten Ederson’s goal on Sunday? Joining Laporte in my Starting 11 picks this week is the Manchester City goalkeeper who, like Laporte, is also ever present this season and has been lapping up those clean sheet points – even away trips to Liverpool and Spurs were not enough to damage his record. Southampton’s top scorer Danny Ings hasn’t found the back of the net since Gameweek 5 and doesn’t seem to have the creativity behind him to rekindle that goal scoring form. The Saints are fortunate that there are four very poor sides below them keeping them out of trouble. Maybe you feel Danny Ings will have the game of his life and cause an upset at the Etihad? On the off chance you are looking for a differential then this week it’s the in-form Matt Ryan. Three clean sheets from three games is fantastic, especially when you consider the save points he has amounted during those games. Yes, Ederson is the safer option for a clean sheet this week, but IF Brighton can keep Everton out – then Ryan will be sure to outscore Ederson on Starting 11 by being the busier of the two goalkeepers. Willing to roll the dice?